The coat of arms of Copenhagen was founded in 1661 the king of Denmark, Frederick III, as a reward to citizens for worthy sustain their heavy siege and storming of the Swedish troops in 1658-1659 gg. For a basis of the emblem was taken symbol in the city of printing with 1296 year: city tower, standing above the water, symbolizing the harbour, is present in the name of a city - Havn. Cobenhavn - merchant harbour. Frederick III placed on the arms of the three towers, making in average gate, which protects the knight with the sword. The Central tower is derived the gold monogram of Frederick III. 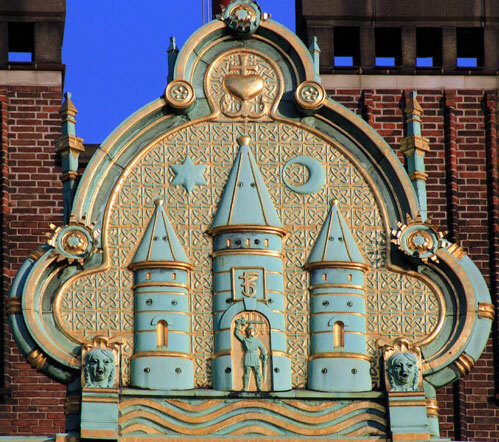 It is interesting that modern coat of arms looks a little different: the Central tower is topped with a Crescent moon, and the neighboring - six-pointed stars. 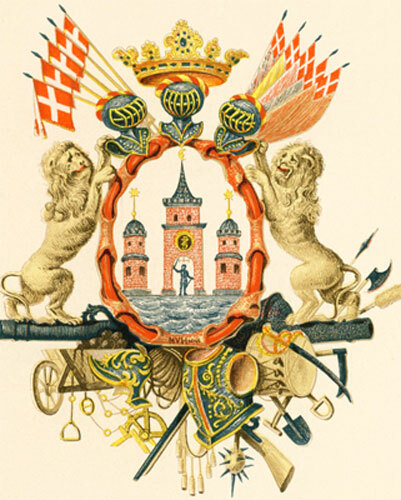 Have A Great Story About The coat of arms of Copenhagen?